Home » Your Doctors in Maryland » Richard Solomon, O.D. Dr. Richard S. Solomon graduated with honors from the University of Maryland in 1981 with a Bachelor of Science degree in biology. He went on to receive his Doctorate of Optometry degree from the Pennsylvania College of Optometry in 1985. 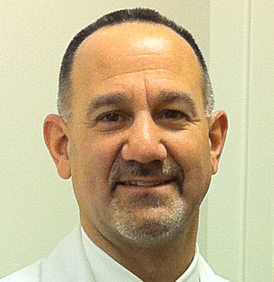 Dr. Solomon has been engaged in full time active practice for 30 years with special interest and emphasis in specialty contact lens fitting, refractive surgical co-management of LASIK, PRK and CK and primary medical eye care. Among his accomplishments of the past 30 years, Dr. Solomon has acted as a clinical investigator for three of the major contact lens manufacturers. He served four years as the chairman of the Virginia advisory board for TLC Laser Eye Centers and served on TLC's Maryland advisory board for an additional four years. With a Therapeutic Optometric license in Maryland, Dr. Solomon treats many common medical eye conditions including dry eyes, allergic eye disease, infections, inflammatory eye conditions, foreign body removal, etc.